Rachel has a tremendous heart for others and coordinates our efforts in Brazil. She enjoys working behind the scenes and building relationships with others in order to share God's love. She married her husband Jeremy in 2012 and they are both active, invested members of the Church at Sterchi Hills in Powell, TN. She is inspired by watching the Holy Spirit work in the lives of others and is committed to sharing that joy and hope with others around the world. Claudia has been serving with One Vision for over three years. She is the hands and feet of our mission in the Dominican Republic. She hosts teams and reports on the day-to-day needs of their area. Through her humble work, she has helped establish our child sponsorship program, various bible studies, community outreach activities and is an ambassador for her country when our teams visit. Her bi-lingual talent makes her an excellent translator for trip participants. Hope, hospitality and deep caring spirits make her invaluable to our team. 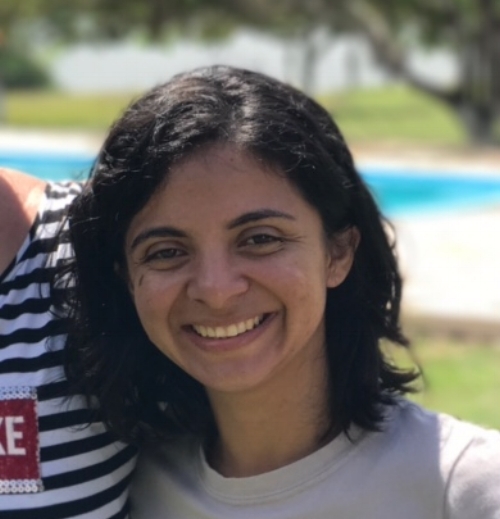 Emanuelle (Manu) joined our staff in 2018 and serves alongside Denise in the community of Rancharia. We first met Manu as a translator for our short term trips, but she has quickly become an important part of the Semear team. Manu assists with daily operations of the sponsorship program, and teaches English classes. Emily has been a part of the One Vision family since 2012 when she originally served as our Business Manager. Through the years she has also served as the Dominican Republic Director and, her most important role, as a stay at home mom to her two girls. In 2018, The Lord allowed her to come back to OVI part time as our Business Manager and her heart for missions, experience in the office, and experience overseas is invaluable to us. Outside the office, Emily and, her husband Dominique, serve at Hope Fellowship where Dominique is the Pastor. John has continued passion for missions that began early in life. He and his wife, Lindsay, have been married since 2006 and are members at Sevier Heights. He is driven by God's word and calling to "defend the cause of the weak and fatherless" and his goal above all else is to make famous the name of Christ through our work at One Vision International. 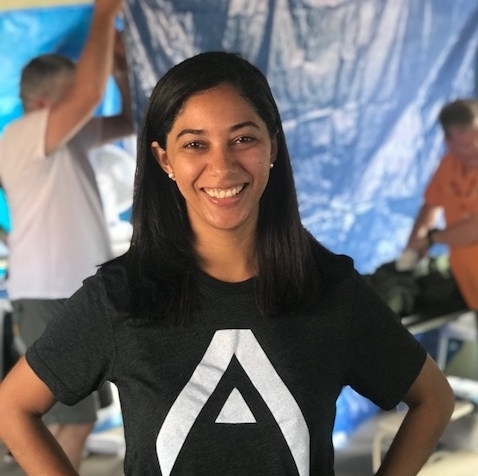 Abbey joined our staff in 2017 and wasted no time in developing relationships in the Dominican Republic. She coordinates all of our trips to the DR and the child sponsorship program. She is also a graduate of the University or Georgia and a huge Dawgs fan! She is an active member of Hope Fellowship in North Knoxville. Abbey has always had a passion for Spanish speaking cultures and mentoring disciples for Christ. Denise began serving with One Vision in 2017. She directs a children's program in Rancharia, Brazil called Projeto Semear (The Seed Project). One Vision partnered with Denise to create our child sponsorship program in Brazil. Each day she teaches, mentors, and advocates for 25 children that attend the program. She also creates child profiles and takes updated photos to keep child sponsors up-to-date on their sponsor children. Her heart is to see God transform this community through the Holy Spirit working in these children and their families. Our work in Brazil would not be possible without the partnership of Florencio and Rejane. They created a NGO in Brazil called Graca&Paz (Grace & Peace) to help support local church plants and the spread of the Gospel in Piaui, Brazil. Together they coordinate all of the logistics for our trips and advise us on areas of need. Ramona has a heart for missions and continues to actively travel to help others. She has been married to her high school sweetheart, Dwayne for 38 years. They have one son already in his heavenly home and three other boys married to wonderful wives with seven grandchildren. Ramona has previously served at two churches over the past 16 years and is currently an active member of Sevier Heights. At One Vision's office, Ramona is the smiling face that helps coordinate volunteers and organize our donor program. We are grateful for her dedication. The board of directors are personally invested in the work of One Vision. The board exists to maintain accountability within the organization and to ensure the needs of people are met whatever the cost, even when these needs may be inconvenient and expensive. Before asking individuals and corporations to give, the board personally commits to giving through finances, time, and participation.